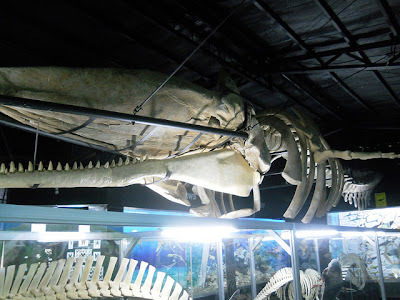 A first in Mindanao, and one-of-its-kind in the Philippines, D' Bone Collector Museum is a welcome addition to the ever growing number of museums in Davao City. 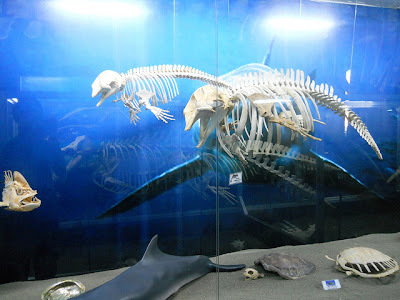 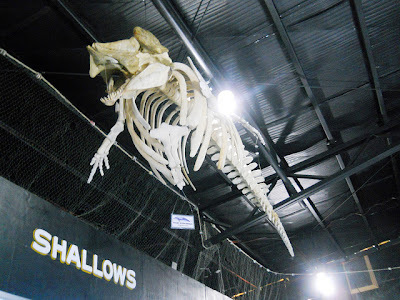 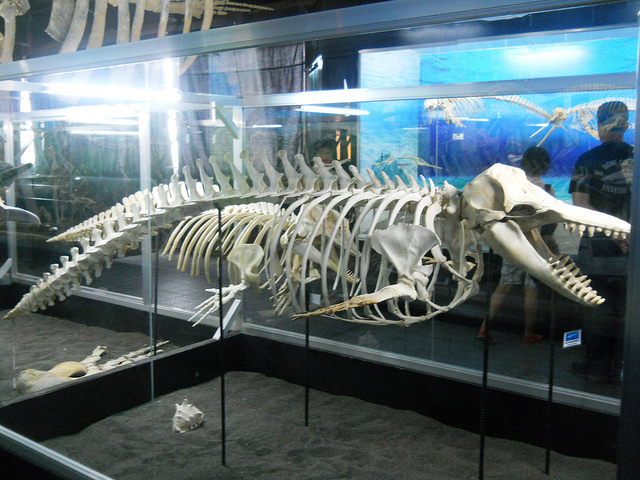 The Museum features a unique collection of over 200 well-preserved skeletons of various animal species from different environments such as the plains, shallow seas and reefs, tropical rainforests, lowlands, and arid regions, including the skeletal remains of two rare sperm whales, one of which is a 41-foot (12.4 meters) long sperm whale which is the largest species of toothed whale and on display at the center of the Museum. 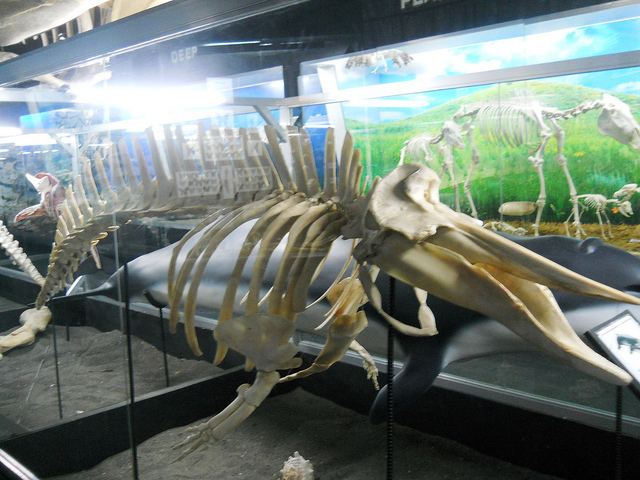 The bones of the sperm whales are among the 47 skeletal remains displayed in the world and two of only four in the Philippines. A son of American missionaries, Darrell D. Blatchley of Idaho, founded the Museum and opened it for public viewing only this January 2012. People who were invited to grace the opening gladly came and never thought that such a museum of this kind would be opened in Davao City. The Bureau of Fisheries of Aquatic Resources, represented by its Research Division, Fatima Idris, thanked Blatchley for his enormous collection at the Museum that would surely raise awareness in the conservation and preservation of not just the marine and airborne species but also those animals found inland. 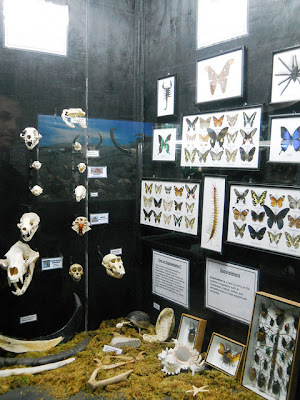 The Museum is a realization of his long-time childhood dream of collecting skeletal remains of various animals and have his collection for public display to raise environmental awareness and spur people’s action. 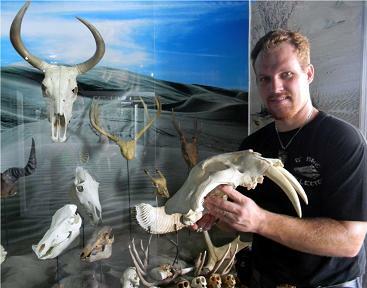 His fascination with animals and their skeletal remains started when he received a set of antlers of a mule from an uncle and reinforced his interest when, at 5 years old, he moved to Thailand where he found and amazed at the Thai's eagerness in preserving the skulls and bones of animals. 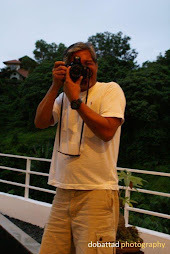 When he was 15, the family moved to the Philippines, where his parents did missionary work, helping poverty-stricken and displaced children in Davao City. 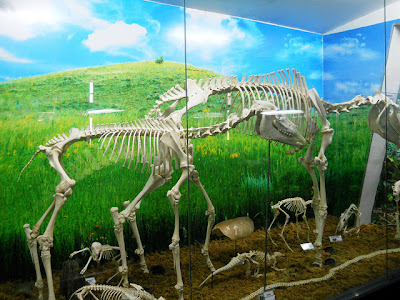 He is married to a Filipina, Mary Gay, with whom he has two sons. 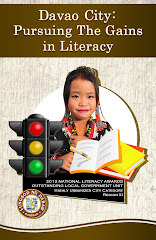 He has been featured in Balitang K, Jessica Soho Reports, and Born to be Wild. 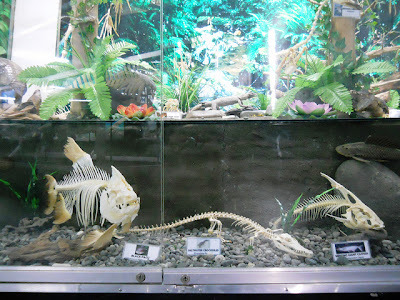 The bones and skeletons were collected by Blatchley himself since he was still a boy; some were bought while others were donated by friends and various organizations around the world, including those from Canada, Russia, Indonesia, Thailand, and the Philippines. At the ground floor of the three-storey building, several preserved remains of various species can be found: bones, skulls and skeletons of bears, a lion, horses, a deer, monkeys, snakes, crocodiles, birds, a dugong, dolphins, whales and insects, butterflies, armadillo, and a Cambodian python which is one of the longest snakes in the world. 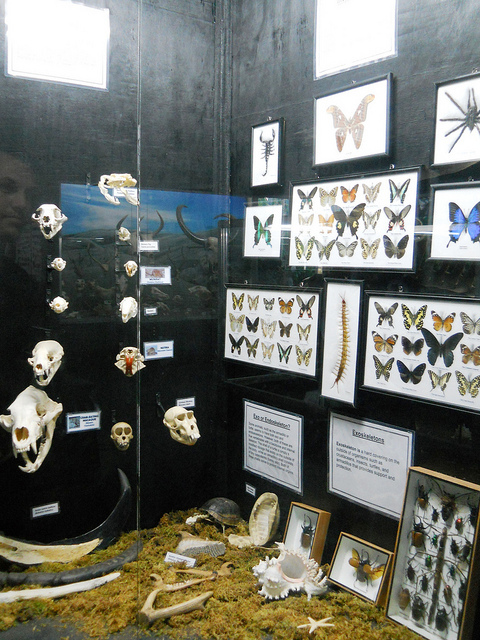 The Museum serves as an educational center where visitors can study and learn about the life and death of animals. Hence, the Museum urges everyone in possession of animal remains, particularly the different government agencies concerned to donate to the Museum those confiscated and recovered animal remains, most especially the rare ones, instead of the usual procedure of burning or burying them to enable them to get valuable information on how the animals died which were often found to be due to some diseases and others, sadly, from man-made causes. 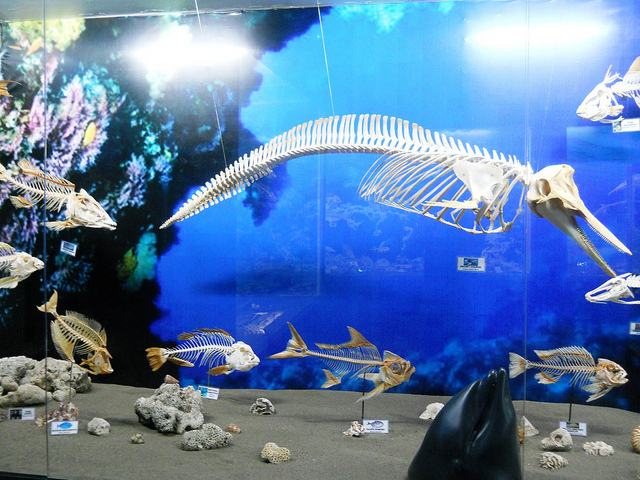 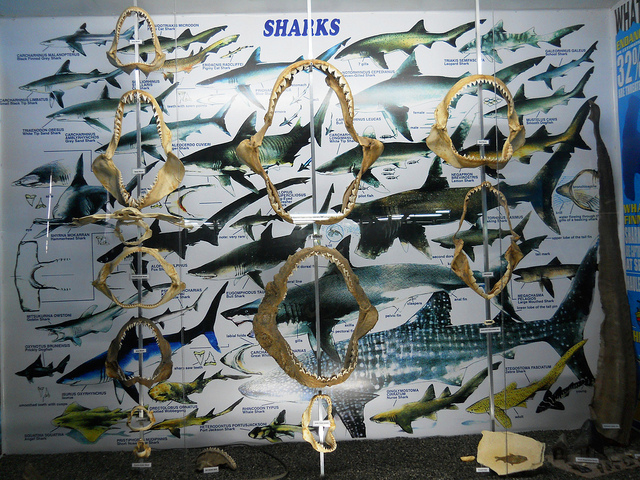 Aside from preserving dead specimens, the Museum and its facility are also aggressively engaged in conservation, retrieval and rescue of marine animals in danger to protect these animals from further neglect, abuse and mistreatment. They also respond immediately to any report received from the local fisher folk and authorities when there are snagged dolphins or whales, and train people in first aid of, and rehabilitation to these animals for eventual return, later on, to the sea. 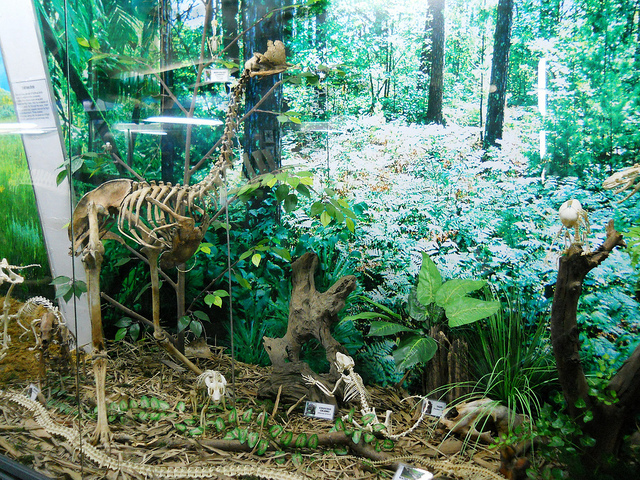 While the Blatchley laments that the funds collected from visitors are not enough to cover the daily upkeep of the Museum and its operational costs, he plans on conducting work shops to raise awareness of those endangered animals found in the Philippines, assisting in the government's efforts to further enhance what is currently being done to protect the animals. 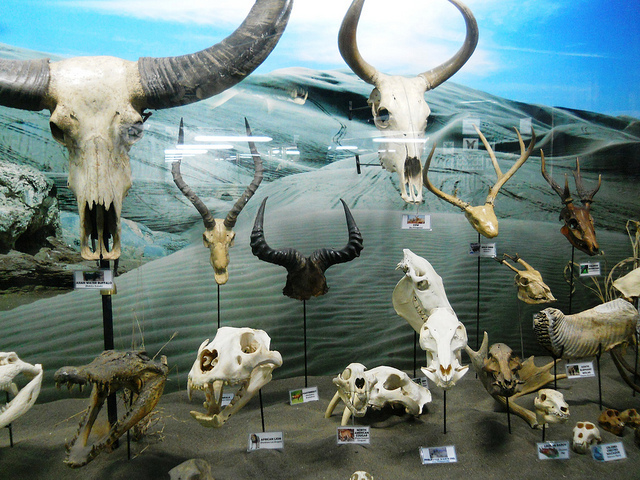 He also hopes to see programs set up that will help breed animals, such as the Tamaraw, to prevent them from being extinct in our lifetime. Blatchley considers the Philippines as his second home - next to the United States, and hopes that D' Bone Collector Museum which he founded will someday be his legacy to his children and to the Filipino people. 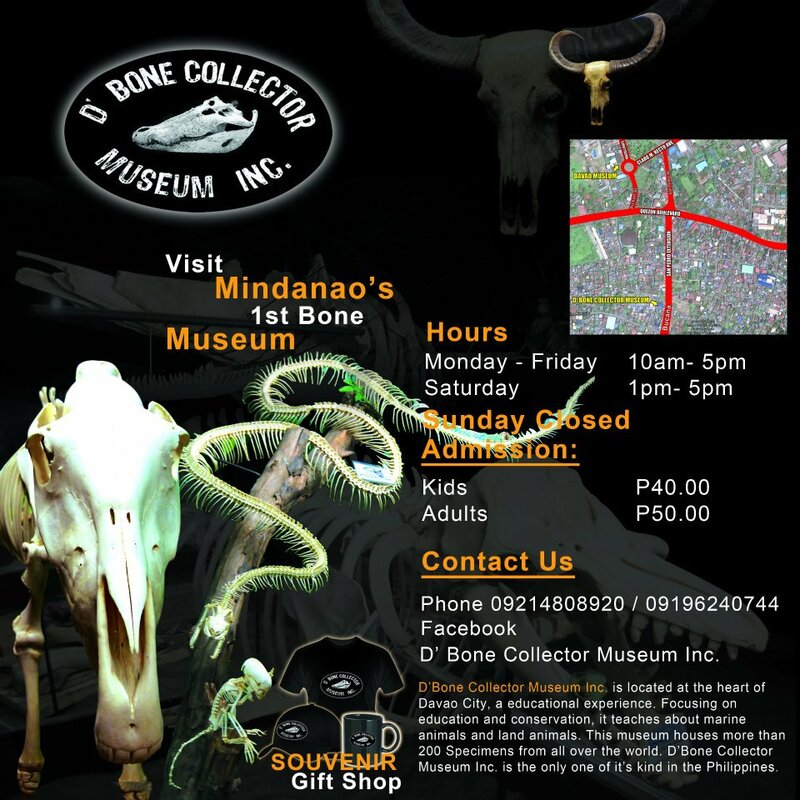 D’ Bone Collector Museum is located at Family Circus Compound, Barangay 76-A, in Bucana along San Pedro Street Extension, Davao City. The Museum is open from Mondays through Fridays, 10 AM to 5 PM, and on Saturdays from 1 PM to 5 PM only. 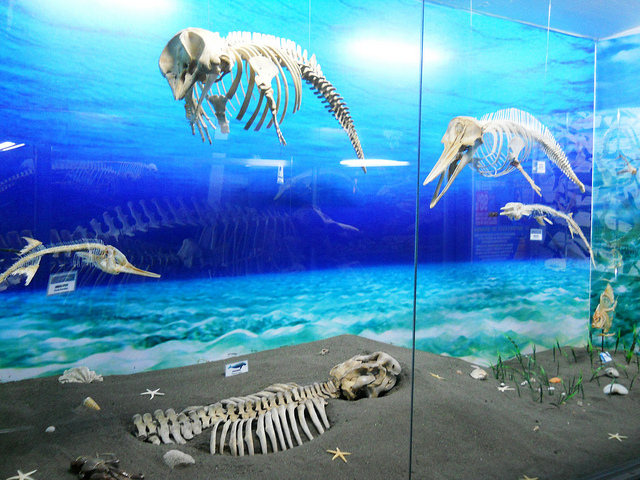 The Museum welcomes group tours and school excursions. 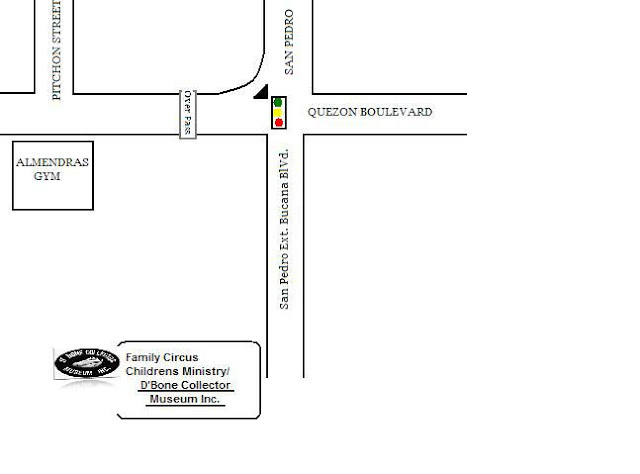 Entrance fee is Php 40 for children and students, and Php 50 for adults. We've got to come see it today! you should advertise at FAITH Academy so they would bring kids for a field trip! 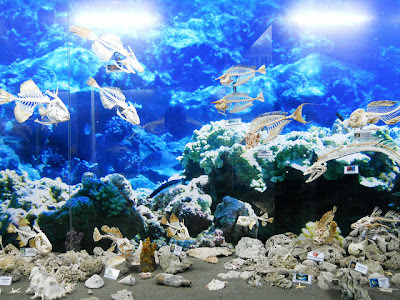 this is such nice place ! 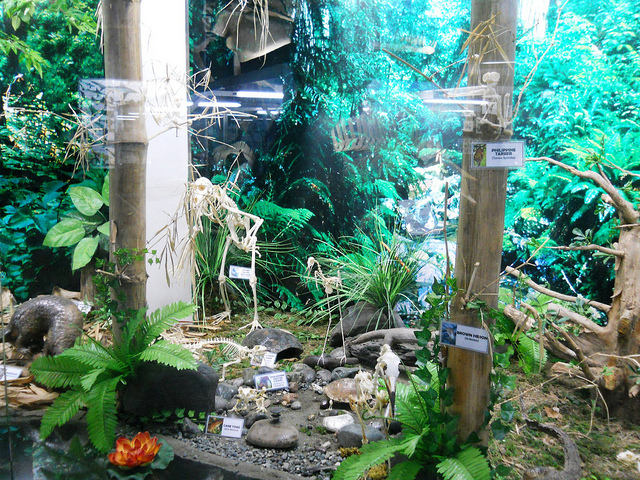 people of any ages would surely love this!